This company never stops moving, and that means we get a fresh look at the latest hardware twice a year. OnePlus isn't interested in holding back on specs, features or capabilities to make a big reveal of a new phone just once a year. The scrappy company has settled in on a refresh cycle every six months, with a big release followed by a mid-cycle bump to bring in the latest things it's been working on. The OnePlus 5T isn't meant to be an innovative leap of technology that blows your socks off — and honestly, none of its predecessors have been particularly groundbreaking, either. Nope, the 5T is still about value, simplicity and being tuned for what the Android enthusiast crowd craves from its phones. At $479 there wasn't much about the OnePlus 5 you could find a flaw with. Now six months later with a bigger screen, new secondary camera, neat Face Unlock feature and a $20 price bump, it's a pretty easy equation to figure out. But while the OnePlus 5T hasn't changed much from its six-month-old predecessor, the rest of the phone market has continued to evolve. Here's how well the OnePlus 5T holds its ground against an ever-changing Android market in price brackets both above and below. I'm writing this review after one week with the OnePlus 5T. It's a Midnight Black model with 8GB of RAM and 128GB of storage, being used on the T-Mobile network both in New York, NY and Seattle, WA. After an initial software update to version 43_171110 it was not updated over the course of the review. 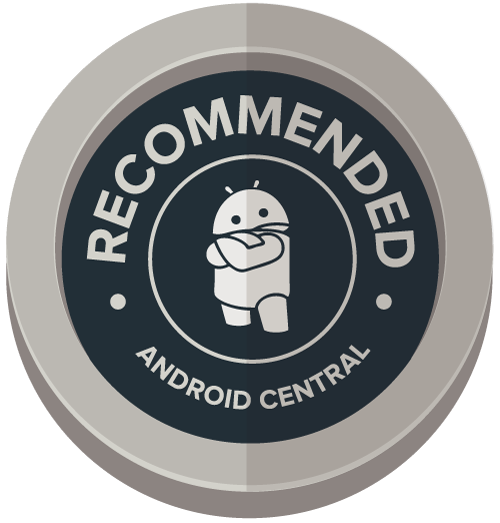 The phone was provided to Android Central for review by OnePlus. The best way to describe OnePlus hardware design is "generic, with a little extra." There's nothing particularly wonderful, awe-inspiring, attention-grabbing or special about the OnePlus 5T, but the execution of the design is oh-so-good. There's nothing awe-inspiring about this hardware, but the materials and execution are excellent. The slab-like bar of aluminum is pieced together with fantastic tolerance levels, and everything set into the body — buttons, switches, speakers, ports, glass — comes together exactly as you want. This may not be expensive fine-tuned design, but it sure is painstakingly great build quality. The new taller display, smaller bezels and rear-mounted fingerprint sensor just feel a bit more modern as well, befitting a late-2017 phone — even if the one casualty of the move is the removal of capacitive buttons below the screen. The only complaint to be had here is just how slippery the body is, which is just a little worse than the OnePlus 5 because it's slightly taller and heavier. It's flat across the back with very little texture in the metal, and the edge of the transition to the flat sides isn't stark enough to get your fingers on. Thankfully OnePlus makes a handful of great thin cases for the 5T, but running this thing naked can be an unsettling experience — it reminds me very much of using an iPhone 6 or 7. A few corners are cut to hit $499, but none of them are major — plus, you keep a headphone jack. I still love the physical Alert Slider switch to toggle between three different notification modes, despite the fact that I've come to terms with using the software DND modes on my Google Pixel 2. I also like having the 3.5 mm headphone jack, even as I use Bluetooth headphones more and more every month. OnePlus still isn't willing to pony up the cost of adding a proper water resistance rating to the 5T, which is very unfortunate as we see other cheaper phones, like the Moto X4, include the feature. The same sort of disappointment surrounds the speaker, which is a single down-firing unit that just doesn't sound great compared to what you get on true flagship phones. It's these sort of fringe shortcomings that remind you that cost had to be shaved somewhere to get this thing down to $499 retail. At the same time, OnePlus continues to overdeliver in the spec sheet. A Snapdragon 835 in a sub-$700 phone is still great, and the default configuration of 6GB of RAM and 64GB of storage is plenty for now and into the future. Nobody needs to spend the extra $60 to get 8GB of RAM (the highest average RAM usage I saw was 5.1GB), but the extra money is worth it for some people just for the bump to 128GB of storage considering the lack of SD card slot. Then again, with the expediency of the upgrade cycle of the typical OnePlus buyer, maybe you're fine with 64GB considering you plan on moving to a new model in six or 12 months. This is a display that outperforms the price point. That processor and RAM becomes even more powerful when you consider that the OnePlus 5T is only pushing a 1080p display. Though the 6-inch 2:1 aspect ratio (2160x1080 resolution) screen is a different size and shape, it looks near-identical to the 5.5-incher on the OnePlus 5. This is still an "Optic AMOLED" screen, which is made by Samsung, and OnePlus isn't really making any claims of improvement over the predecessor. That's totally fine with me, particularly at a sub-$500 price point. This display is crisp, colorful and has pretty minimal off-axis color shifting. While it's not up to the level of the displays in the Galaxy S8+ and Note 8, it wouldn't look out of place on any $700+ phone. The one thing I find it's missing is visibility in direct sunlight, where it lacks the high-contrast mode that kicks in on some other phones for a short period. I also find it reluctant to ramp up the brightness above about 25% when indoors, even when there's enough ambient light to warrant more from the display. On the other end of the spectrum the display does impress me with how dim it gets in dark rooms — when I move that brightness slider all the way down, it's very comfortable for my eyes at night (especially when paired with Night Mode). This section, where we typically dive deep into the quality of the software and the performance of the phone, is going to be a short one. That's because as we know the OnePlus 5T is identical internally to the OnePlus 5, and the Android 7.1.2 Nougat software has changed only marginally from its predecessor as well. Instead of changing the basic interface paradigm of Android, OnePlus continues to add value by giving you customization options and just a handful of neat features. Offering simple things like themes, a customizable status bar, new gestures and a couple tweaks throughout the interface all enhance the experience without taking away from Google's vision of Android in any way. Most importantly, you can ignore them entirely and just use the phone as it comes out of the box, too. OxygenOS is one of my favorite manufacturer "customizations" of Android — and I put that in quotes because OnePlus hasn't exactly added as much as it's just tweaked things. There are just some visual, transition and color changes throughout the system, plus a few nice features like Reading Mode, and then some typically unseen customization options throughout the interface. I'm not in love with its choice to go with a primarily white status bar, and its ambient lock screen needs some work, but the most important part about OxygenOS is I can't find anything that's annoying or in my way — that definitely isn't the case on every phone I've used this year. Exactly as was the case with the OnePlus 3T in 2016, this review comes out in the shadow of a big impending software update. We know OnePlus already has an Android 8.0 Oreo build for OnePlus 3 and 3T owners, and that beta program will open up to the 5 and 5T by the end of 2017. Unfortunately, that means we're still looking at "early 2018" for a stable Oreo release. And while it'll certainly be released ahead of most manufacturers, OnePlus definitely won't be the first with Oreo and it's a bit disappointing as other companies like Sony, HTC, Samsung and Essential either have phones already with Oreo or in open beta testing. This isn't Face ID, and it sure isn't high security, but damn it works well. The only exciting software addition on the OnePlus 5T is Face Unlock. Unlike more advanced versions of this feature, Face Unlock on the 5T simply uses a little software and the regular 16MP front-facing camera (the same unit as the OnePlus 5). After a quick scan of your face, the software identifies 100 data points that make your face unique and each time the screen turns on it attempts to match those up with whoever is holding the phone. This is absolutely the fastest implementation of a front-facing camera-based unlocking method, easily beating what Samsung and Google have on their latest phones. It unlocks the phone before you have a chance to think about unlocking the phone — it's great. Even with the fingerprint sensor being in a very comfortable place to reach, Face Unlock is so fast it can easily open your phone before your finger can get back there. The system is obviously far less secure than what Apple is doing with Face ID, and definitely less secure than the rear-mounted fingerprint sensor. I certainly wouldn't use this method if you're traveling or in other situations where your phone could be easily stolen. But it's secure enough for most people in most situations, and because it's so lightning quick I expect more than a few people will turn it on and stick with it most of the time. OxygenOS flies on the OnePlus 5T ... but then the same software flies on the OnePlus 3T as well. It's very clear that this software isn't exactly taxing the Snapdragon 835 and 6 (or 8, in my case) gigabytes of RAM. Jumping between apps all day doesn't produce a single hiccup, and app performance has been great as well. I haven't noticed any excessive amount of background apps being killed off, nor have I had any unusual crashes or hangs from apps or the operating system itself. The way OxygenOS does its transitional animations you can feel like things are a tad slower than, say, a Pixel 2 — but they're simply slow on purpose. If you're the type of person that cares about transition animation speed, you can freely change it in the developer settings — but it's more of just an acquired taste than an actual problem with the system. Battery life remains unchanged from what I saw in the OnePlus 5. A 3300mAh battery is right on average with what we'd expect to see for a phone with a 6-inch display run by a Snapdragon 835 processor, and with the slim OxygenOS software it all equates to solid — but not spectacular — battery life. A typical full weekday left me with about 20% battery in the tank when heading to bed after 17 hours with 3-4 hours of "screen on" time. That's nearly on par with what I get out of the Pixel 2 XL, though I have found the OnePlus 5T hitting "Battery saver" (15%) in the evenings of some heavier usage days more frequently than Google's phone. You'll get through a full day, and probably have a bit left in the tank when you're done. The OnePlus 5T does a darn good job at conserving power when it's just sitting there with the screen off, which is once again a testament to OxygenOS being relatively light and simple. I can only imagine that the Oreo update will help further. Dash Charge remains a fantastically quick charging solution, provided you buy another wall charger and perhaps a car charger to complete your set and know you have the fast charging everywhere you go. It's still a bit annoying that OnePlus hasn't managed to get this technology into its own mobile battery packs, or get some cross-compatibility with Qualcomm Quick Charge, but if you plan to stick with OnePlus it's worth getting its proprietary chargers. Not a single thing about the main 16MP camera on the OnePlus 5T has changed from the 5. But OnePlus knows what it can get out of it, and thought it was good enough to hold onto — to counteract that, it put its effort into switching up the secondary camera. The new 20MP sensor sits behind the same focal length and f/1.7 aperture as the main camera now, putting a quick end to the telephoto lens idea from before. The camera is one part of the experience befitting the 5T's price. Camera performance is the one area where the OnePlus 5T feels spot on with its price: better than the cheap phones out there, but not as good as the top-tier flagships. In decent-to-good lighting, the 5T exhibits all of the same characteristics we've seen before: solid but unspectacular dynamic range, accurate colors and some areas where details get a bit over-smoothed by the image processing. The 5T tends to be accurate rather than punchy, which is fine with most of us, but when that's paired with questionable metering, weak dynamic range and an HDR mode that doesn't feel like it adds enough to the scene it leads to some photos coming out bland. In anything resembling good lighting I never got a bad shot, and I even got a few great ones that could convince you they were from an $800+ phone, but the average shot out of the 5T is just ... well, average by flagship standards. They didn't "wow" me in the same way that the Pixel 2 XL does with just about every photo I take. Why bother with this secondary camera if the main camera so often does a better job with low light photos? Now let's talk about low-light photos. OnePlus tuned this secondary camera for very low light (under 10 lux, which is quite dark), and so the camera only engages automatically in those situations — you can't switch to it manually. I found it really hard to take a photo that was dark enough to engage that secondary camera, which honestly makes sense. A 20MP sensor with 1-micron pixels and no OIS supporting the lens just isn't a recipe for success in bad lighting, even if you do some processing that combines adjacent pixels to cut down on grain. And so, many of the photos both I and our own Daniel Bader caught with that second sensor were as bad as we expected them to be. Grainy, with some odd colors and weird artifacts where the software attempted to smooth things out. I actually took some solid low-light shots with the main camera — in fact, none of the camera samples above were taken with the secondary camera, because each time I took a shot with it I chose to reposition a bit for some more light and take it with the main camera instead for a better result. It begs the question — why would OnePlus bother with this secondary camera at all if the main camera so often does a better job with low light photos? Some 90% of the shots you take with this phone will make no use of the secondary lens, turning it into this vestigial thing hanging around reminding you that its inclusion took away from potential improvements to the main camera. Yes, it enables a Portrait Mode — which doesn't seem to have improved since its introduction, and is worse than the Pixel 2 XL's — but I don't think that this software-based bokeh and what end up being relatively poor low-light shots are worth what we had to give up in the main camera. If the removal of those two features could free up resources to make any improvement in photos from the main camera thanks to a larger sensor or OIS, it'd be immediately worth it. With a few price increases, OnePlus has worked itself up into a somewhat odd price level. At $499 the OnePlus 5T sits about $200 above the "budget" phones people so often look at when they're trying to save some money, but also $2-300 underneath the true flagship phones of the same size. It seems unlikely that someone considering buying a Moto G5 Plus for $299 outright will all of a sudden choose to spend $200 more for a OnePlus 5T; so the market instead consists of potential flagship phone buyers who are enticed by the call of a top-of-the-line phone for hundreds of dollars less. The OnePlus 5T offers an exceptional value at $499, or even at $559 for the top-end model. For this potential buyer, the OnePlus 5T delivers just as its predecessors did. It has the same type of hardware, build, form factor and screen quality as the top-end phones today, and a slate of specs to match. Sure it doesn't have the nice-to-have whizz-bang hardware features or extras like waterproofing or great speakers, but something had to be trimmed somewhere and these are great non-critical areas to cut costs. The camera won't blow you away, but it's good enough for this money and it's capable of a fantastic shot now and then. And even at this lower price, you get excellent software that's in many ways better than what Samsung, LG, HTC and Huawei are doing — and it all flows at a breakneck pace.